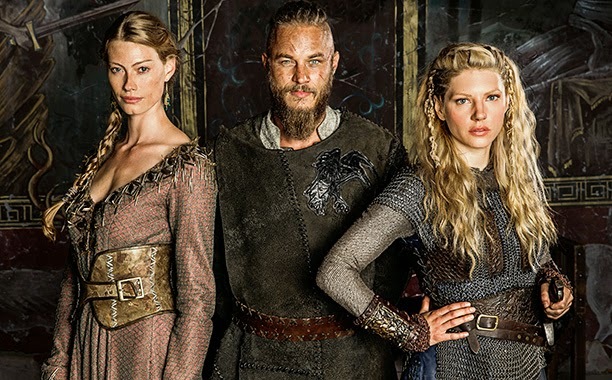 The powers that be at the History Channel have renewed the hit series "Vikings" for a third season. The Canadian-Irish historical drama television series premiered on March 3, 2013 in the United States and Canada. Filmed in Ireland, Vikings is inspired by the tales about the Viking Ragnar Lodbrok, one of the best-known mythological Norse heroes. The series has been a runaway hit averaging 3.4 million viewers a week - a major breakout for the History Channel. This is History’s first original scripted series. If you have not seen it, I can not recommend it strongly enough. The second season is currently into episode five, which aired last night. It was a fantastic episode with Lagertha and Ragnar uniting to battle Jarl Borg. Alexander Ludwig of The Hunger Games and Lone Survivor fame has taken over the role of Bjorn Ironside, the first-born son of Ragnar and Lagertha. Honestly the story of Vikings…is amazing. I had not realized how popular it was until a few weeks ago. During a dinner meeting, some one mentioned that we had to wrap up because they wanted to get home to watch the season two premier. I had watched the first season, but had no idea that a show I stumbled on by chance on the History channel had such a huge audience.